We're Live Right Now on Twitch! Did you hear? We have a new channel on Twitch! Game streaming has grown (that's an understatement) quite a bit over the past several months, and we're joining in on the fun. We already have a Let's Play channel on YouTube, but Twitch will give us the opportunity to really engage with our audience on a more intimate level. And, hey, it'll also give us a chance to just hang out. We'll be streaming Monday through Friday, from 4 p.m. PT until 5 p.m. PT, sometimes longer. Maybe you're having dinner, or just getting home from work or school, but whatever it is you're doing, we want to hear from you. Your presence is requested. 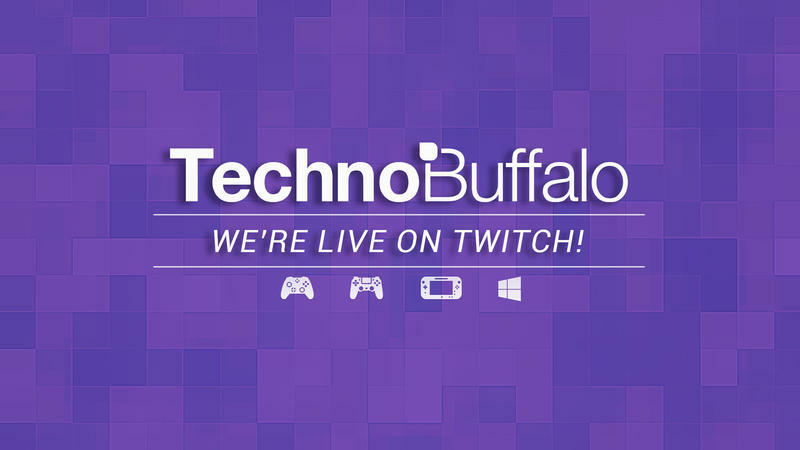 Jon is up on our channel right now (twitch.tv/technobuffalo), so pop in and say hello. He'll not only be playing games, but he'll be answering questions, too. Any games you want to see? Any suggestions? Voice them in Twitch chat. We want you guys to be vocal—but keep it clean and fun! This is your channel as much as it is ours, and the only way it can grow is with your support. If anything, it'll give everyone a chance to see just how good (or bad) Jon is at Titanfall. Hint: his Titanfall skills need some work.